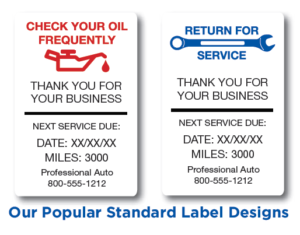 For Custom Imprint Static Cling Stickers there is a one time set up fee of $50.00. 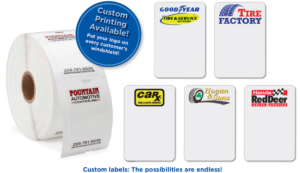 For Custom Imprint Stickers for the printer there is a one time set up fee of $35.00 per color. 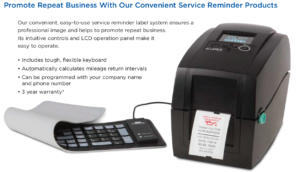 The Service Reminder Kit comes with everything you need to print your own stickers. Replacement printers, keyboards, USB cables, keyboard covers, and power cords are also available.